It's cleaner than a typical cloth mask and uses crowdsourced data to map air pollution. It's a ubiquitous sight in cities like Beijing: pedestrians walking under a thick blanket of smog with their faces obscured by flimsy cloth face masks. These masks aren't an ideal solution to dealing with the pollution, as they wear out pretty quickly and don't even filter everything. 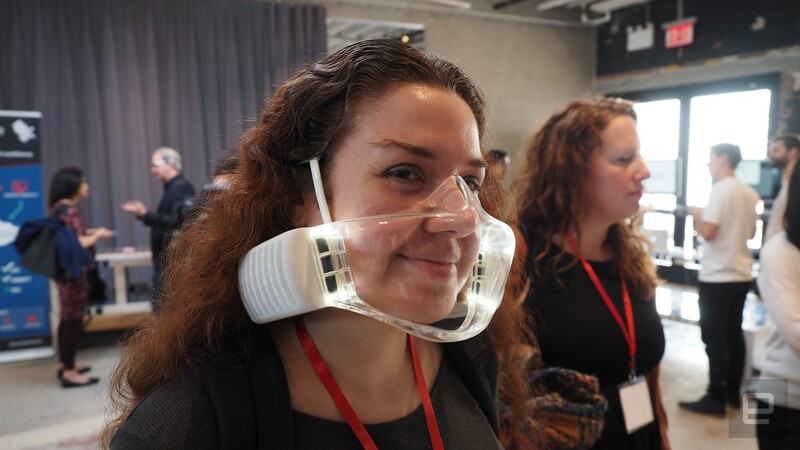 O2O2, an urbanist startup based in New York, is working on a connected face mask that's clean, (relatively) attractive and doesn't need to be continually replaced. O2O2 is one of the companies operating out of Urban-X in Brooklyn, an accelerator focused on making cities more livable through technology. That ethos is present in aspects of the O2O2's design. Its plastic build is far more solid and substantial than the fabric makeup of a disposable model, since it's meant to be reused on a daily basis. And the white headpiece with its clear shield lets you actually see the faces of passersby, which CEO Dan Bowden touts as a huge benefit. The ability to read expressions humanizes those around you, as opposed to being surrounded by black rubber contraptions that invoke thoughts of air raids, plagues and Batman villains. The differences go deeper than just aesthetics. Rubber face masks can get pretty rank due to the moisture from your nose and mouth. The O2O2 instead circulates air around the lower half of your face using the two fans mounted on either side. It feels a lot less sweaty and even a bit chilly. Men with beards will enjoy not having to shave, since the mask doesn't need to form a suction on the skin. The air simply flows around and through the beard. Bowden said hair even warms the air a bit, though my lack of facial fuzz means I'll have to take his word for it. When I picked up the O2O2, the first thing that struck me was how light it was. The fans on each side are about three inches wide -- maybe the size of a modern point-and-shoot camera, except not as heavy. When I put the mask on, it felt lighter than a gaming headset. And that was just a prototype: The O2O2 team intends to further shrink the size of the fans, to the point where similar the whole headset will feel akin to a slightly heavy pair of glasses. 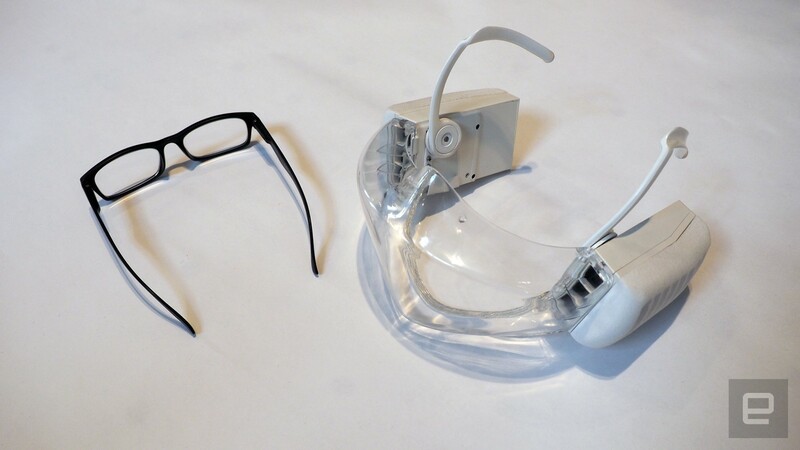 After I put on the mask, my glasses immediately fogged up, as my exhalations were being reflected upward by the clear shield. It's definitely not airtight, that's for sure. But it doesn't need to be: The circulation of the air inside the mask is designed to keep outside contaminants away from your nose and mouth. Once I turned on the fans, the fog immediately cleared. It even felt a bit cold as the moisture evaporated away. The filters in each fan clean the air before blowing it at you, and they only need to be changed every 40 hours, depending on pollution levels. That might sound like a pain, but it's still an improvement over cloth masks, which have to be replaced every two hours or so. The O2O2 will cost $100. While that seems steep compared to disposable units, it makes more sense when the alternative is a standard gas mask. The price could make it more attractive to construction companies, painters and even rescue workers like firefighters, who can also benefit from a more comfortable, longer-lasting breathing apparatus. O2O2 is also aiming for the fitness market, as some athletes use training masks to improve their pulmonary endurance. It's these athletes who might benefit from the mask's connected features, where it could collect data like breathing patterns. However, as part of Urban-X, O2O2's focus is improving urban life. 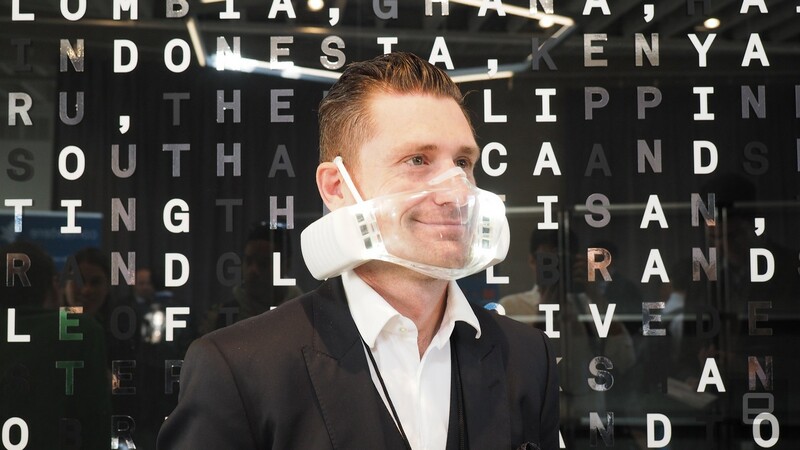 The mask achieves this by being affordable and easier to wear -- it can even take on various designs and styles, meaning we may see some fashion-forward models on the streets. But the mask's biggest contribution will be its ability to collect air-quality data and aggregate it in a central repository. It's not the first user-focused device to do this: One of our recent Best of CES finalists, Flow, is a connected smog-detecting charm small enough to attach to a bag. The idea behind both products is that instead of relying on a handful of weather stations to collect information on air contaminants, having more boots on the ground via consumer devices creates thousands of points of data from all over a city every day and every hour. One advantage O2O2 has over the Flow is that you're unlikely to lose it or forget it at home, especially if you live in a city where pollution levels make it impossible to go without a mask. Also, the Flow isn't even available to purchase yet. The information these devices collect may allow scientists and city planners to figure out better ways to protect city dwellers from pollution and even reduce or eliminate it entirely. The O2O2 is a product that ultimately succeeds only if it makes itself obsolete, in working toward a world where you don't need a mask to walk outside.